“A Colombian liberal leader once said a half-century ago, ‘Better to use your mouth than use your bullet,’” Mr. Ramírez told The New York Times this week in Havana, saying that he ultimately wanted to talk with the government, rather than take hostages. He added that the hostages could be released in the coming days as a gesture of good will. [post_ads]It comes as no small paradox that Mr. Ramírez’s stated efforts to achieve peace are based on a violent strategy that has led to dozens of killings this year alone. 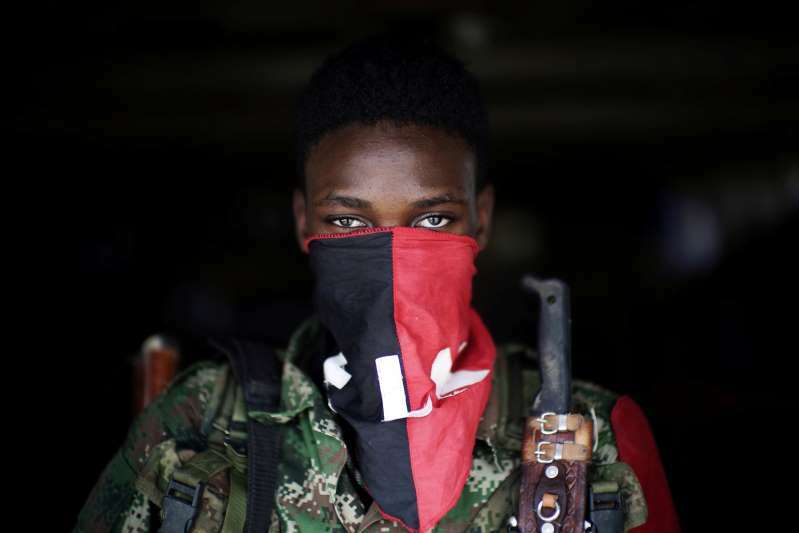 But for decades, armed struggle has been the mantra of his rebel group, known as the ELN, which has vowed to fight poverty with attacks on the state and those who support it. Mr. Ramírez himself has been sentenced to 39 years in jail for planning the 1999 hijacking of a Colombian airplane. Now, Mr. Ramírez — a 64-year-old commander best known by his alias, Pablo Beltrán — admits that the group’s ambitions are far less sweeping today. “We’re not asking for socialism,” he said, adding that his rebels are mainly looking for basic protections for peasants and a way that the rebels can lay down arms. In the past, such agreements have also included promises of reduced sentences for fighters who confess to crimes. But the notion of letting guerrillas off easy has turned peace talks, once the bread and butter of Colombian politics, into its political third rail. In 2016, Colombia’s largest rebel group — the Revolutionary Armed Forces of Colombia, known as the FARC — reached a peace agreement with the government that shielded its members from prison time. The deal officially ended more than five decades of conflict and won President Juan Manuel Santos a Nobel Peace Prize. But it also destroyed his popularity at home. Many Colombians were furious at the agreement, calling it too soft on the FARC. Voters rejected the deal in a national referendum, but then Colombian lawmakers approved it anyway, essentially overruling the electorate. The backlash helped fuel the rise of Colombia’s new president, Iván Duque, who had stoked anger against the peace deal with the FARC. Now, he must decide whether to accept the demand for peace talks with the ELN, which has stepped up attacks against the government in the past year. On the campaign trail, Mr. Duque called the ELN’s fighters criminals, saying he wouldn’t speak to them unless they first disarmed. But upon taking office on Aug. 7, Mr. Duque said he wanted a month to consider what he would do. And the realities of negotiating with the ELN present their own minefield. For years, the group had been in halting talks with Mr. Santos and even made a pledge to pause its fighting. But when the cease-fire expired, the group resumed its attacks, bombing oil installations, lobbing grenades at a military barracks and killing seven officers at one police station. As the bloodshed continued, Ecuador, which had been the site of the talks, said it would no longer host them, forcing Mr. Ramírez and his delegation to decamp to Cuba, where The Times interviewed him. But two days later, a recording from the ELN’s Western War Front, its hard-line bloc, which has released pictures of some of the hostages, said no agreement had been reached. “Each day, it’s more difficult to guarantee the well-being of these people,” the voice said as the sounds of jungle insects rang out in the background. The contradictory stances didn’t surprise past negotiators. Even Mr. Ramírez admits that it hasn’t been easy to get his followers on board. He recalled a trip last year, when he secretly returned to his country through the Venezuelan border, then made his way to the Pacific Coast using a series of paths controlled by the guerrilla army to meet with fighters there. Mr. Ramírez also worries about the fate of other rebels who have made peace with the government. The FARC formally disarmed last year. But when it started a political party to compete in elections, killings of campaign staff and attacks against candidates — including its former commander, Rodrigo Londoño — forced it to stop campaigning in February. One of the FARC’s top commanders was arrested in April on charges that he continued to traffic drugs. Some lower-level commanders have continued fighting as dissidents. “We have an example that has us scared,” Mr. Ramírez said of the FARC deal. There are also signs that the demobilization of one rebel group has created an opening for another. The ELN has expanded its territory into FARC lands and muscled further into the cocaine trade, Colombian officials and analysts say. It’s a reminder that the country’s civil conflict, which left more than 200,000 dead, is far from finished. Mr. Ramírez agreed that the ELN’s influence is rising, but by his account its goal is to protect towns from paramilitary groups and developers. This puts the rebels in a difficult position when it comes to abandoning their weapons, Mr. Ramírez said. “One leader told us, he said if the ELN signs a deal, our communities, we are all going to be left displaced, living under bridges in Medellín and Pereira, and this territory will be taken over by multinational mining companies and oil firms,” Mr. Ramírez said. Mr. Pearl, the former government peace negotiator, says he thinks Mr. Duque will ultimately engage with the guerrillas, even if he can’t be sure what the outcome might be. “He has shown interest in a negotiated solution,” Mr. Pearl said of the president. In the meantime, Mr. Ramírez waits in Havana for a delegation to negotiate with. He said the guerrillas have been in phone discussions with Miguel Ceballos, the country’s new peace commissioner; Mr. Ceballos declined to comment on any talks. Mr. Duque has said little as he weighs his options. But the government remains on the offensive against the ELN. On Wednesday, Mr. Duque announced the capture of a top guerrilla moneyman in northern Colombia, who went by the alias Bryan.